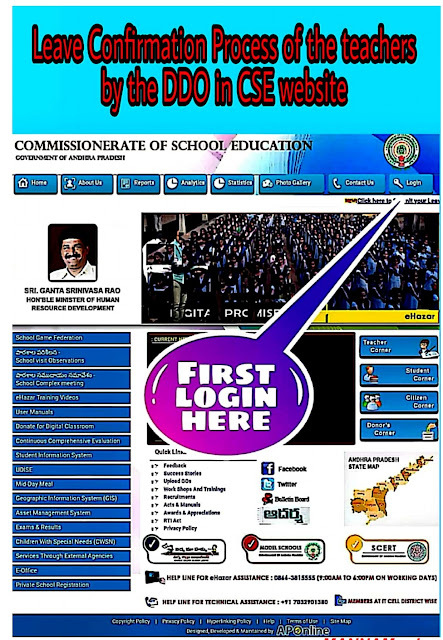 Home» AP LATEST UPDATES » AP Confirmation Leave proces of the teachers by the DDO in CSE Website at cseap.gov.in. AP Confirmation Leave proces of the teachers by the DDO in CSE Website at cseap.gov.in. 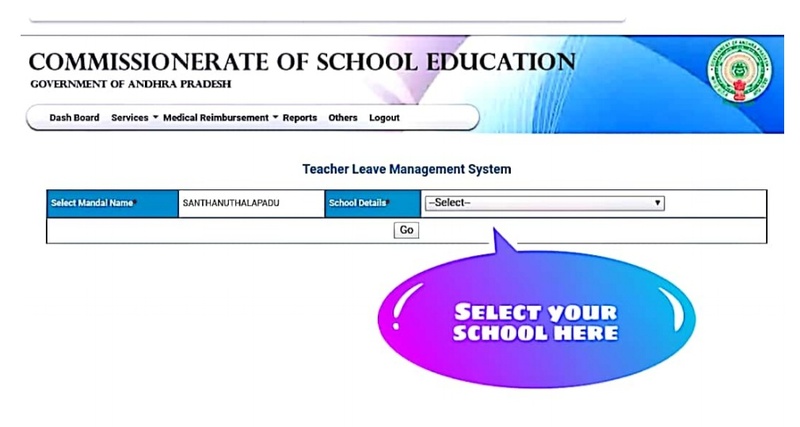 How to Confirmation and confirmed by DDOs MEOs/HMs confirmation to Teacher leave in online CSE official website at cheap.gov.in;How to confirmation Leave proces of the teachers by the DDO in CSE official Website at cseap.gov.in. 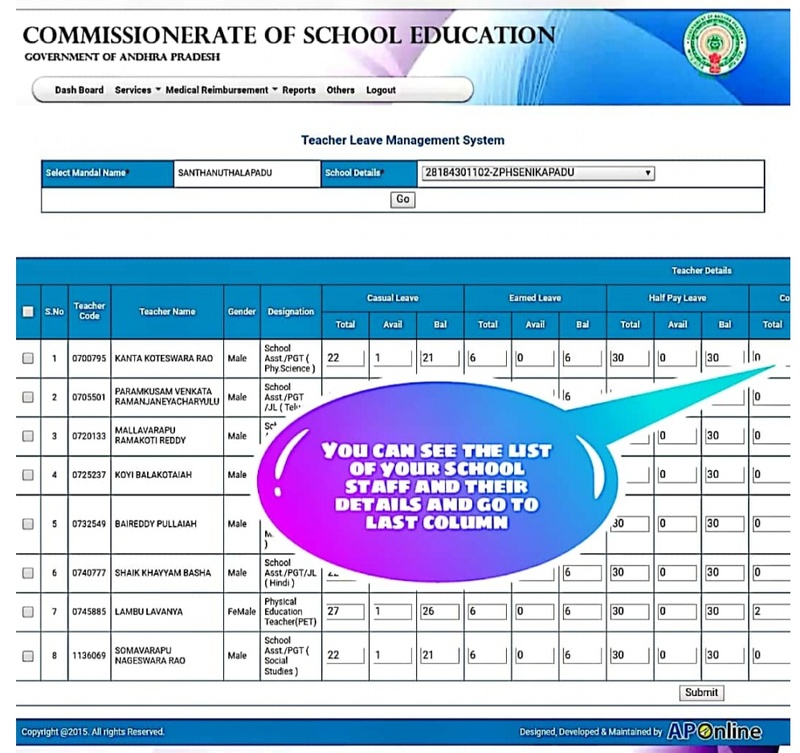 How to get Step by step Process confirmation Leave proces of the teachers by the DDO. CLICK on LOGIN button (it is in right corner). Pass word (Admin@1st six digist of UDISE Code). Ofter selec services then select leave confirmation. 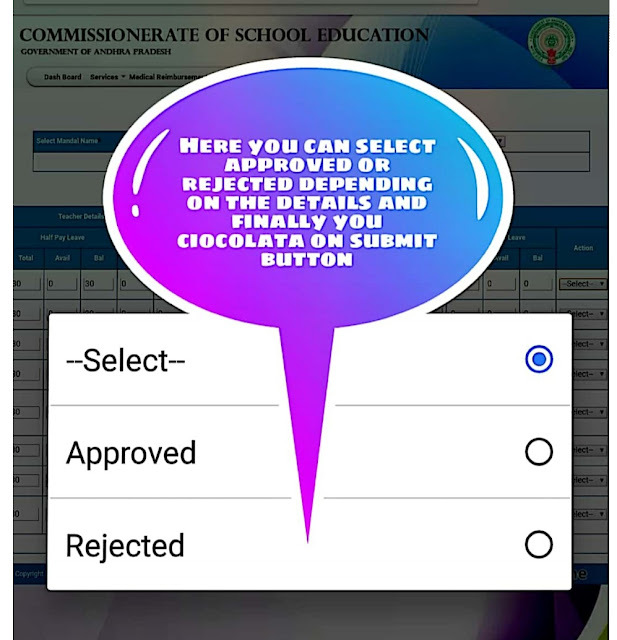 Here you can approve /recject depending on the details Finally you select the submit button. 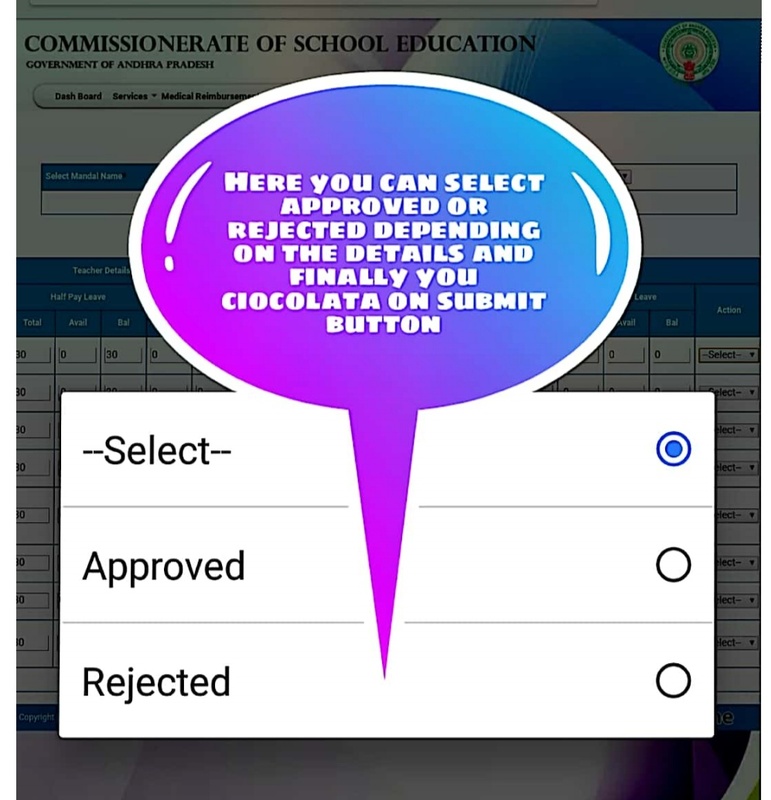 Get Download Complete User Mannual For How to confirmation Leave proces of the teachers by the DDO in below link. Get Download User Mannual Click Here.